Most American do not feel as secure today as they did on 9/10/2001, nor do they feel as free. We have sacrificed freedoms, but we have not gained security. We have spent millions of dollars to fight a so-called War on Terror and have few tangible results to show for it. Much of the money has gone to the Department of Homeland Security (DHS). Why do we do not need a Department of Homeland Security (DHS)? Most of its work is wasteful and duplicated by other government agencies. Most of DHS's efforts appear to be oriented toward domestic law enforcement and not towards foreign terrorists. The activities being performed by DHS agents would not have prevented the terrorist attack on the World Trade Center on 9/11/2001. It appeared to be a good idea at the time President George Bush proposed forming it, because the public needed to be reassured that Government was doing something to protect us. Our national leaders assure us that Osama bin Laden is dead and Al-Qaeda is on the run. Today the DHS appears to be a bloated and mismanaged bureaucracy of marginally qualified civil servants. All of the various components should be broken up and sent back to the Government Agencies they came from. The Coast Guard is and was the lead agency. Other agencies; such as, the Department of Justice (DOJ), the Transportation Security Administration (TSA), Immigration and Customs Enforcement (ICE), Defense, Interior, and Health and Human Services have contributed components. At last count there were an estimated 15 to 20 spy agencies in the DHS. Moreover, as of May 21, 2014 according to a Washington Post article by Jerry Markon, the DHS is homeless. The construction site in Southeast Washington, DC on the grounds of the old Saint Elizabeth's Hospital is over-budgeted by billions of dollars and may not be completed before 2016, if ever. The site is completely undeveloped except for the Coast Guard Headquarters building. As events have unfolded, it seems to me that the underfunding of the project may not be entirely accidental. A great way to kill a project is to underfund it. That is just what Congress has done to DHS. Congress funded the Coast Guard Headquarters move from Buzzard Point to Saint Elizabeth's, but had not appropriated sufficient funds to move DHS. That means the Coast Guard was considered essential but DHS was not. 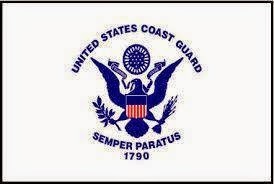 The Coast Guard has been around since 1790, but DHS came into existence in 2002. The Coast Guard has a proven track record and enjoys favorable public support. Homeland security is not the top priority item with most Americans anymore. The DHS has succeeded in curtailing many civil liberties that American are not happy about. Privacy rights have been eroded. Air line security is cumbersome and intrusive. Immigration enforcement has not managed to curb the flood of illegal immigrants coming into the country. Phone calls and Emails are being monitored at an alarming rate. We are practically in a police state. Since the establishment of the DHS and the Patriot Act, Americans have given up freedoms and civil liberties for security, but most American do not feel any more secure than they did before 9/11/2001. At the rate that Congress is approving funding to move DHS Headquarters to the new Saint Elizabeth site, some lawmakers are urging that plans for such an ambitious headquarters complex be scrapped. Former DHS secretary Michael Chertoff, who had called a consolidated headquarters essential for his department’s mission to protect the homeland, acknowledges that the project has become a victim of Washington’s budget wars. Republicans are calling for a reevaluation of the project, suggesting for instance that private developers could build a more modest office complex and lease it to the government. The proposal to raise the kind of headquarters envisioned after Sept. 11 is now practically an orphan in Congress. One of the major reasons the Department of Homeland Security may be doomed is because the rank and file civil employees may be incompetent for the jobs they are trying to perform. The Senior Executive Staff was filled by profession job-hoppers from other agencies looking for a raise in pay and another career enhancing paragraph on their resume' or curriculum vitae. Today the DHS appears to be a bloated and mismanaged bureaucracy of marginally qualified civil servants. How were the top DHS positions filled? It was Ruling Class cronyism, favoritism, and nepotism. And in a few isolated cases, it may have been some affirmative action. Should America Pay Or Continue To Play?